This blog is filled with stories behind my motivation in writing Love’s Forbidden Flower, but there is an aspect to it that often goes overlooked. The truth is, Love’s Forbidden Flower is not really a story about siblings and civil rights; it is about reincarnation and the trials and tribulations that your past can bring into your present. We’ve all heard the expression regarding how who we have been effects who we will become. For example, if you got involved in sports early in life, it may have inspired you to become an athlete. But have you thought about the unexplainable aspects of your personality? Have you ever felt an overwhelming urge to do something new, yet know in your heart you would be good at it because it seems second nature? Do you find that notion akin to times where you have met someone with whom you have instantly hit it off, somehow unexplainably knowing what was going on in the depths of their mind? There might be a really good reason for it. In Love’s Forbidden Flower, Lily feels that Donovan is her soulmate. It’s a basic truth that she never questions. Eventually, Donovan not only accepts that theory, but also embraces its deeper meaning. Those words showed how much Donovan had matured from a confused boy into a man who was not only facing himself but also his situation on all of its complicated levels. Since he was at such a pivotal point in his life (one filled with harsh self-discovery), why should Donovan’s search for redemption be limited to the present? I’ve always subscribed to the notion that our lives go far beyond the present, that there is a future for us after we die. By logical extension, there is a past as well. In my present, I have met people with whom I share an affinity that I really can’t explain. After I met with a hypnotherapist who specialized in reincarnation, those relationships began to make sense. The hypnotherapist told me that we travel in groups. In those groups are friends and foes whom we find time after time, life after life. 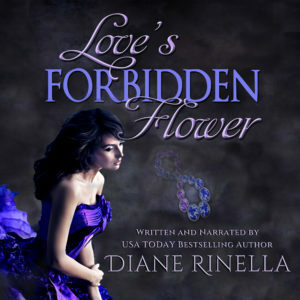 While in Love’s Forbidden Flower the topic of reincarnation is downplayed, in Time’s Forbidden Flower, Donovan is convinced that the special connection he feels with Lily has to do with the relationships they have shared in the past. Dreams wake him, and he’s certain they are not mere fantasy. As a result, he encourages Lily to undergo past life regression. The findings are phenomenal. Lily’s experiences under hypnosis when she walks down that stairwell, one step for each year of her life, are not unlike my own experiences in hypnotherapy. Do the experiences in this life shape us? Or is it more accurate to say that those experiences change us—altering the fully formed personality we had when we were born into our current shells? If we’ve lived before, why don’t we remember? 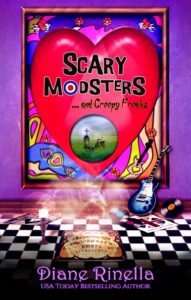 (That subject gets touched upon in Scary Modsters… and Creepy Freaks.) Our brains are intricately attached to our bodies, which act only as shells for our souls. Many believe that when a soul moves on, it doesn’t take the brain’s vivid memories with it. It does, however, take the emotions—the core of who you are. These emotions make an imprint, which is why past life memories are more based on emotion than visuals. Those emotions stay with us, shaping both who we are and who we will be for all of eternity.